Although the pursuit of happiness has been a topic of discussion since the Declaration of Independence, the suggestion that everyone should feel happy all the time seems to be emerging as a new phenomenon in pop-culture. Movies, books, and music lyrics all send messages that say, “You deserve to be happy.” But, research shows that chasing happiness may actually make you feel worse. Two strangers troubled by family issues are serendipitously brought together. They put their lives on pause for one night to forget about their woes, enjoy the moment, and jazz. In this gritty and beautifully crafted short film, Andy Truschinski makes his screenwriting and directorial debut and will leave you asking: Is happiness sustainable or are we working toward the impossible? 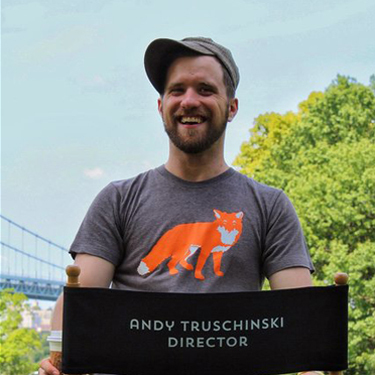 I"Andy Truschinski is a multi-faceted New York City based artist. He has numerous acting credits (Ex: Sergeant Dugan in the upcoming film '17 Bridges' starring Chadwick Boseman, Private David Taylor in the 'War Horse' National tour and 'The Heidi Chronicles,' starring Elisabeth Moss, on Broadway) and a burgeoning writing career. The Root of Happiness is his directorial debut."